No more fumbling with multiple wrenches that require 3 hands. Never again will you have to search for threaded bar for that old stop. The Smart Stop makes adjustments quick and easy while maintaining a secure and rigid stop. The aluminum dowel provided is easily turned for sizes under .500". 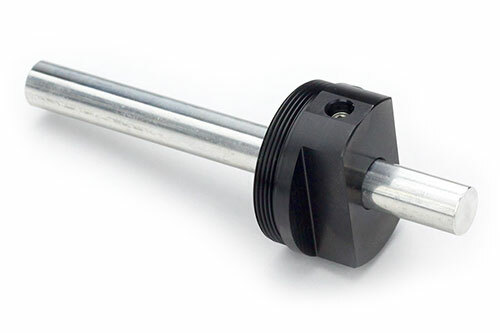 Compatible with internally threaded 16C collets.